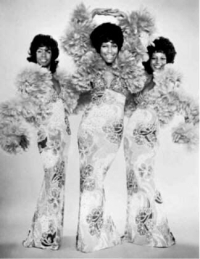 A display of costumes worn by the most successful Motown group of all time, The Supremes, is coming to London. Florence Ballard – from a selection of live performances, television appearances, album covers, and more. As well as the clothes the V&A exhibition will display archive television footage, photographs and magazine articles to help contextualise the impact the band had on America and the world. Also expect to hear news shortly of a special event featuring an appearance by Mary Wilson accompanied by soul scene DJs. For more on the the exhibition see the V&A website here.